We consider the generalized Nash equilibrium problem which, in contrast to the standard Nash equilibrium problem, allows joint constraints of all players involved in the game. Using a regularized Nikaido-Isoda-function, we then present three optimization problems related to the generalized Nash equilibrium problem. 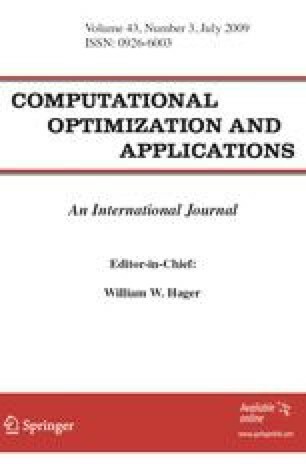 The first optimization problem is a complete reformulation of the generalized Nash game in the sense that the global minima are precisely the solutions of the game. However, this reformulation is nonsmooth. We then modify this approach and obtain a smooth constrained optimization problem whose global minima correspond to so-called normalized Nash equilibria. The third approach uses the difference of two regularized Nikaido-Isoda-functions in order to get a smooth unconstrained optimization problem whose global minima are, once again, precisely the normalized Nash equilibria. Conditions for stationary points to be global minima of the two smooth optimization problems are also given. Some numerical results illustrate the behaviour of our approaches.